Ok, new in town, got apartment, car, job. What next? Local library card, of course. 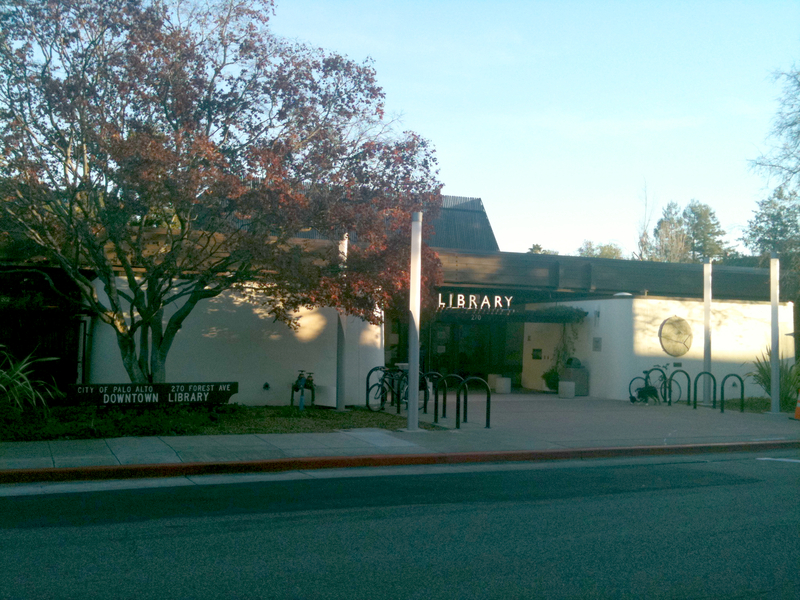 So today I went to the downtown branch of the Palo Alto City Library, a short walk away from me on Hamilton St., and did my usual “mystery shopper” routine of wandering in, pretending to know nothing, and asking about services and how to get a card. (have done this in a swathe of cities..). The Palo Alto Downtown Library, as it’s usually known, is a delightful facility. It opened in 1971, designed by William Busse, and was renovated and rededicated in 2011. Originally, it featured the wrought-iron gates saved from the city’s original, 1905, Carnegie-funded public library that sat across the street, where the 1960s high-rise City Hall now stands. According to Palo Alto Patch, the Carnegie building gates “proved too heavy and awkward for patrons, so they were removed.” Ok, I understand, it may not have been so user- or kid- or elderly- or handicapped-friendly, but I kind of wish I could have the gravitas and historical experience of pulling open those doors when I went. The present building I would describe as a subtle and effective melding of influences including Asian, Mission, and Californian Modern. An East Asian aspect is suggested by the flowering trees and the enclosed garden spaces between the outer walls and the building proper, which have a meditative and considered quality in themselves, and also lend serenity to the glass-walled library interior spaces facing onto them. The plastered and curved exterior sheltering wall suggests Mission, while the prominent horizontal wooden beams and the entraceway trellis speak more of California modern. The comparatively blank outer walls at street line, curving in to the recessed and shaded entrace, to me articulate a sophisticated type of welcome to the visitor — receptive but not overt, the demeanor of the sort of person I would like to meet. Considering buildings from the standpoint of how they talk to the street, I really like the Downtown Library’s refined manners. 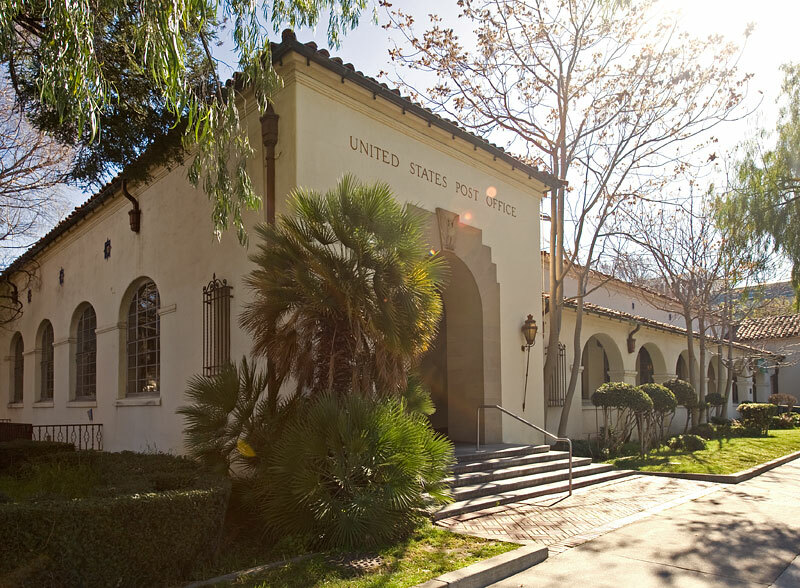 This weekend I stopped in to the downtown Palo Alto post office, which is a lovely Mission / Spanish Revival building from the 1920s. (see note on history below). The New York Times recently had a fascinating story about Deutsch Post, a now ultra-efficient and thriving global competitor born out of the former German post office (Deutsch Bundespost): “Reinventing Post Offices in a Digital World.” DP and its bright-yellow identity is known to Americans via its global package-delivery arm, DHL. Deutsche Post has sold off all but 2-3 off the once 29,000+ buildings it owned, and usually operates inside other business such as banks or groceries, or in some villages, out of the homes of franchisees. The contrast with the hidebound, collapsing US Postal Service is obvious. 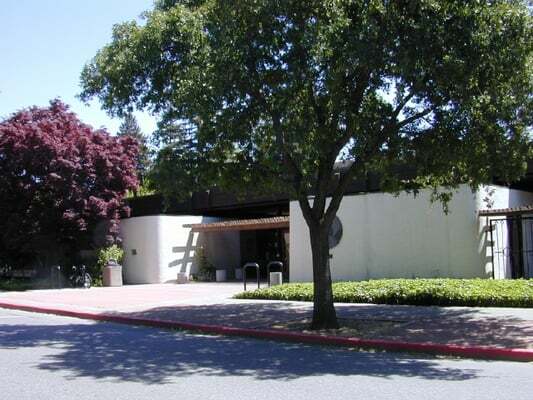 Clearly, something like what Deutsche Post has done is, economically, the way to go, to maintain the USPS; but the case of the Palo Alto landmark which I won’t in future get to visit regularly — with all the sense of civic uplift it might help inculcate — shows what may be lost when public buildings are sold off. All over the country, civic landmarks are being and will be sold off, many never to be stepped foot in by the public again. The Palo Alto post office was designed by a significant local architect, Birge M. Clark, whose father Arthur Clark was also an architect, Stanford Professor and mayor of Mayfield (Mayfield is the town that was absorbed into Palo Alto in the 1920s, whose old main street and train stop are the California Ave and Caltrain stop of today, near Hotel California). A longtime friend of Herbert Hoover, Arthur Clark constructed the future U.S. president’s home in 1919 with assistance from young Birge. my 2010 VW Jetta. Also known as “Jettaround,” on the car-sharing service Getaround. I have to say, going to California, Silicon Valley, new job, all important; but buying a first car: pivotal. Although, a lot of cars seem to me quite competently designed but undistinguished, or only subtly so. Older Jettas had a more distinct, angular style, but current ones like my grey 2010 Jetta S are quite similar to a swathe of other models from Detroit, Japan, even to many more expensive cars like Benzes and those often-tame Japanese luxury sedans. On the other hand, for me, as an honorary Brit and expert introvert, avoiding distinction and statement is a key criteria. Self-expression via my car? That, for me, veers perilously close to arriviste, even gauche. Therefore, subtle elements like brand penumbra, history, personal association, and detailing matter a lot. This is why, for all that this depends on great engineers, marketers are in the drivers seat. In the developed world now, cars are so ubiquitous, so generally well-engineered and based on extremely mature core technologies — are so functionally equivalent for most people — that, I think, most money over $10,000 that anyone spends on a new car is almost purely to be won by marketing and identity. Subtle and repressed identity, perhaps masked by practical sentiments (“we need it for the kids”… “safety and reliability are key features to me”…) but identity nonetheless. If you also consider the evidence showing that most people buy cars soon after deciding to enter the market, with very little research, then you realize that cars, while being high engineering at base, are in fact mainly a huge and lucrative field of identity expression. In fact, the more the brand talks about engineering (BMW, e.g. ), the more it’s likely to be about identity. Taking me, for example, let’s take a tour of that fertile field the marketers, not the engineers, have to plough. My father once owned a Model A Ford, which along with the Model T was the American “people’s car” designed to be affordable to all workers. This was precisely the same goal of the (*cough* Nazi) German Labour Front, starting in 1937, for what was originally called the KdF-Wagen” (German: Kraft durch Freude – “strength through joy” — the name of the giant state-controlled leisure organization in Nazi Germany) and then Volkswagen, “people’s car” (a term used in Germany as far back as the 1920s). When the VW operation was about to be dismantled after WWII under the “pastoralization” policy, pre-Marshall Plan, VW was saved by an enterprising British Army overseer who arranged to start selling VW trucks to the occupying forces and the German postal service. Some returning UK soldiers were allowed to bring their VW Beetles back to England after the war, thus seeding the market. 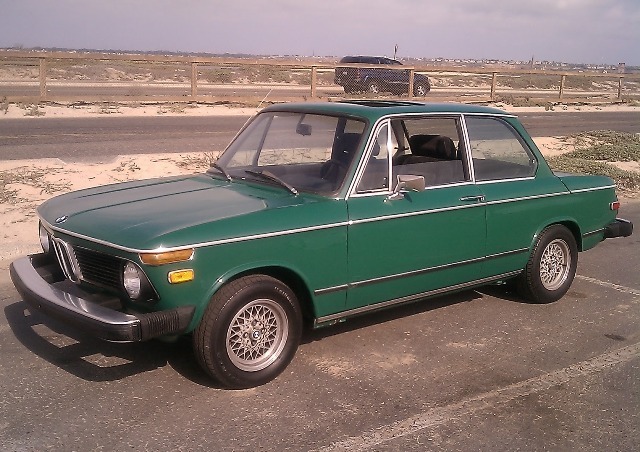 My father subsequently owned a Beetle, and my parents a VW hatchback, and further on the German front, in England I grew up riding around in our BMW 2002. (a practical and best-selling car, now considered one of the most classic and collectible of all BMWs). All this no doubt is part of why I tend to like German cars. For a design and book devotee like me, Germany is also importantly the homeland of Gutenberg, the Bauhaus and Modern design/typography, and the Frankfurt Book Fair. So too, I’m pleased to learn — as an aspiring trans-Atlantic type, and dual U.S. / E.U. citizen — that the name “Jetta” comes from the German term for the Atlantic jet stream, as in the “winds of freedom blow” (Martin Luther’s Die Luft der Freiheit weht, Stanford’s motto) between Europe and America. It can’t hurt, either, that Volkswagen group also includes Audi, Porsche, and Lamborghini, some of my favorite other marqees. (if I were the type to reach, as the British say condemningly, I might even say that I think of my Jetta as really an entry-level Audi. In sheep’s clothing — or more sheepish clothing, as the case may be). Bearing in mind that in my new environs of Silicon Valley, a nearly-new Jetta (which I think of as fabulous, unimaginable and nearly embarrassing luxury, any moment to be found out, confiscated, and me thrown back in jail) — here counts as practically a junker, a just-out-of-college throwaway car, or something you drive to impress upon your investors that you’re truly a bare bones, “skin-in-the-game” startup type. 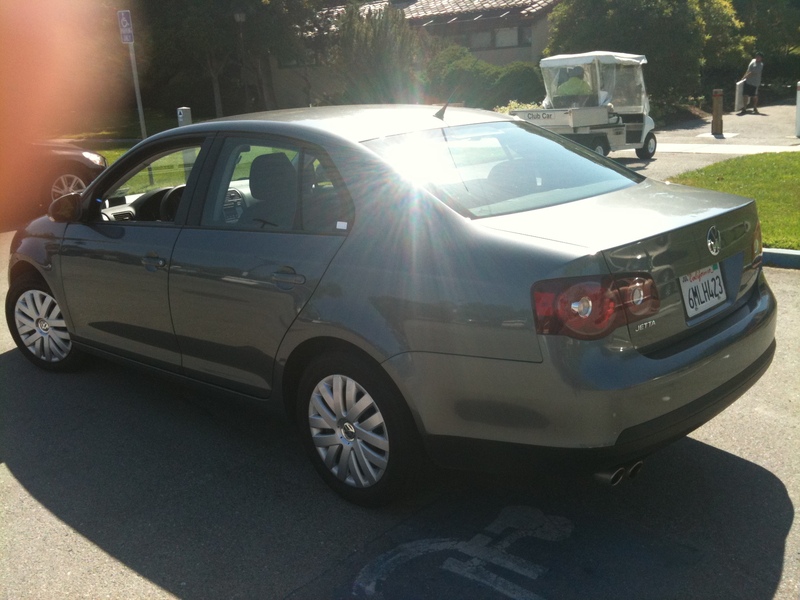 A 2010 Jetta is far cheaper than the average car on the road here, as my insurance agent told me, with a sympathetic and perhaps pitying nod, while selling me collision insurance. 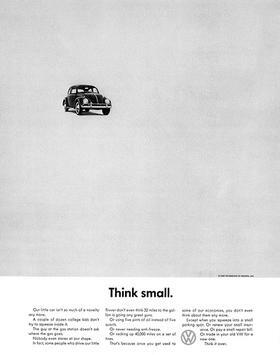 The Volkswagen campaign for my sentiments really took off in the 1950s, however, when VW began its extraordinary run of game-changing, highly effective counter-cultural U.S. marketing, with the print campaigns designed by Doyle Dane Burnbach. Never mind that a 2010 Jetta is hardly small by world standards, and if you look at it in the context of the whole VW range you see it’s a “family sedan”, far up the list above the smaller-footprint categories of City Car, Super Mini, Mini, small sedan, etc. Volkswagen reached out to those uncomfortable with “Big” America, chafing at that Whitman-esque “barbaric yawp” and raw power, and invited us in to the Think clubhouse. (connecting to the original IBM “Think” slogan dating from the 1910s, but even more importantly, to Apple’s later “Think different,” which derived from “Think small” all the way down to the lower-case capitalization of “different”). VW was a pre-Steve Jobs version of Apple. A more recent example of counter-cultural marketing by Volkswagen that totally worked for me is their VDub advertising campaign from 2006, three TV ads parodying MTV’s auto show Pimp My Ride, such as Episode 1, “Wrecking Ball.” Each stars an effete German engineer named Wolfgang, and German model Zonja Wöstendiek as his assistant Miss Helga, who mock the hip-hop wannabees’ absurdly vain hot-rods, and gleefully destroy them, to introduce a gleaming and trim VW GTI. Awesome! Those pimp-my-ride jerks who used to push us around on the playground, now we get to destroy their wide-boy blaring-exhaust tail-finned customized abominations! (those which Tom Wolfe satirized in his landmark 1963 Esquire “New Journalism” essay, “There Goes (Varoom! Varoom!) That Kandy-Kolored (Thphhhhhh!) 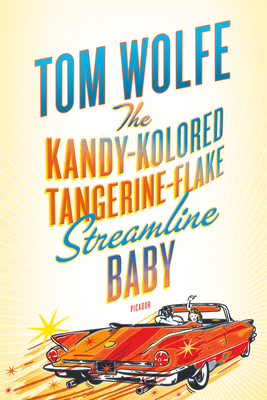 Tangerine-Flake Streamline Baby (Rahghhh!) Around the Bend (Brummmmmmmmmmmmmmm)…”, title essay of The Kandy-Kolored Tangerine-Flake Streamline Baby). 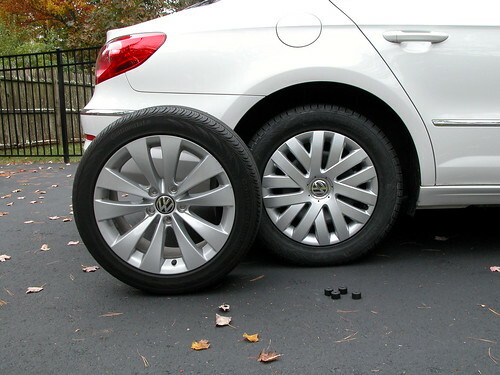 But counter-cultural politics aside, the true ace-in-the-hole and deal-clincher for the 2010 Jetta, its Unique Selling Proposition (thank you, friends in Marketing) is, for sure, the hubcap typography. Now notice the play of “V”s and “W”s contained in the hubcap specific to (as far as I’ve seen) the 2010 Jetta, at left. Genius. Natural. Totally unnnoted by most people, but also highly distinctive when you finally see it. (like me! I’m just kidding. That’s just what what most people feel). In sum, I may be a shameless capitalist tool and a pawn of advertising masterminds. But, so far as I could see, in the brief time I had to research my purchase, there were a dozen manufacturers out there in a fiercely competitive market, making quite well-designed, quite similar cars at a similar price, similar fuel economy and safety rating etc, using highly mature technologies. Time is short, research is hard, they all seem satisfactory. What am I going to do? I’m going to enjoy myself by swimming in the fertile sea of emotional / cultural associations around cars, because that’s what I’m really buying, not a car itself — that’s the real value in it for me. I’m going make some little statement, subtle — but for me all-important — about the Model A Ford that was my father’s first car, and the value I place on, say, good typography. 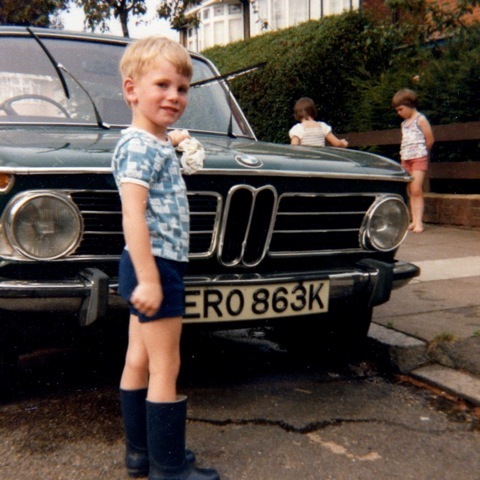 My father observes that, not only did I ride around in that BMW 2002 when growing up, but I worked hard and lovingly to maintain it, as shown in this picture he sent, from circa 1979. My two sisters, on the other hand, the soul of indifference as seen in background skipping rope or something, now drive a Subaru and a Toyota. Coincidence? I don’t think so. The point is, parents, you have a solemn responsibility: instill good brand preferences in your children by age five, or it could be game over. Thanks pops. Super Dad and, clearly, German auto industry brand ambassador #1. Comments? email tim (at) tjm.org, or Twitter @mccormicktim. Due to spam problems, comments entered below will be delayed for approval.